We are currently looking for smart, professional and productive Property Consultants to join our active team. The candidate who have previous experience in Real Estate as an Agent and have the below requirement will be qualified for interview. With offices in London and Dubai, Makki Real Estate has become one of the fastest growing company of 2015. We pride ourselves in delivering our clients the highest level of professional service. Makki Real Estate have over 10 year experience in the property industry in Dubai. Not only do we have the most up-to-date and high-tech internal systems at our disposal, we also have a very driven and competitive sales team that works together against the rest of the market. We are currently recruiting Real Estate Consultants for our DUBAI OFFICE. Working as a real estate broker in a small, boutique real estate agency in the centre of Dubai. The position requires somebody who is not afraid of hard work. Part-time considered. The position is full time, 5 days per week, 9am until 6pm, which will include one day at the weekend when required. d)No preference for age and gender. Source, view and sell properties to prospective clients and manage the sale process from A-Z and support properties’ marketing plan. • To liaise with clients in order to determine and meet their individual requirements. • updated and accurate market information and by scheduling visits to the community. • To ensure smooth and professional sale transactions. • To respect and follow RERA, Ejari and Land Department rules as well as company procedures. • To negotiate and close residential contracts with clients. • To complete relevant sale forms and draw up real estate contracts. • To collect funds from buyers and follow–up on pending issues. • To prepare monthly competitive survey reports and to analyze the real estate market trends. • To maintain accurate property and client records and represent the company brand in a professional way. • To establish and maintain effective, positive and professional working relationships with internal and external clients (Owners, Buyers, Roots Land colleagues, etc.). • Courteous, efficient handling of client’s request or complaints. • To maintain a professional appearance and attitude at all times. Duties are not limited to the above mentioned responsibilities; additional duties may be required by management. • Diploma and a minimum of 2 years related experience and/or training. • Customer service background desirable and excellent communication skills and organizational skills necessary. 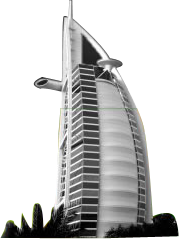 Our client is a leading multi national real estate developer based in Dubai. They are looking to expand their team by hiring a number of experienced relationship managers for their Dubai office. At Least 2 Years sales experience selling across to High Net worth Individuals. The successful candidate will be responsible for developing relationships with customers from a large client base in addition to developing new client base and revenue streams. Meeting with clients face to face, you will also build rapport with a view to cross and upsell further services to different areas of the businesses you deal with. With time split evenly between the office and client visits, incredible variance is offered. Candidates must have relevant experience of working in a KPI led sales environment delivering sales of high ticket items. There is a very appealing commission and bonus scheme on offer. Presentable, young, confident, enthusiastic, pro-active and assertive individuals. The company will provide excellent training and fantastic growth opportunities with an unlimited earning potential, set in a multi cultural and international environment in Dubai selling one of Dubai's most ambitious resort projects. Job description: We are expanding our team and currently looking for real estate brokers to join our company.